Exquisitely detailed and ready for engraving. Fine Nickel finish with the working tools every mason will recognize. Engrave locally with the name of the gifted or hand it over with pride. 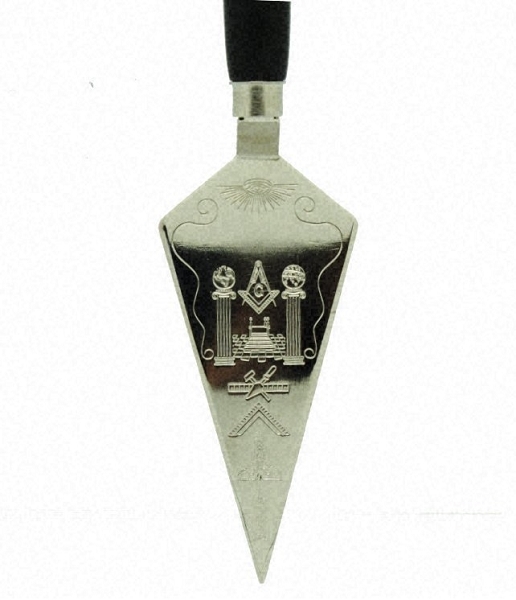 Lodge Secretaries may contact us about having as few as 50 pieces made with your Lodge name and location already engraved on it factory fresh. Measures over 7"! Typically Lapel Pins & More does NOT buy from third parties but rather would design and make their own items of this quality. 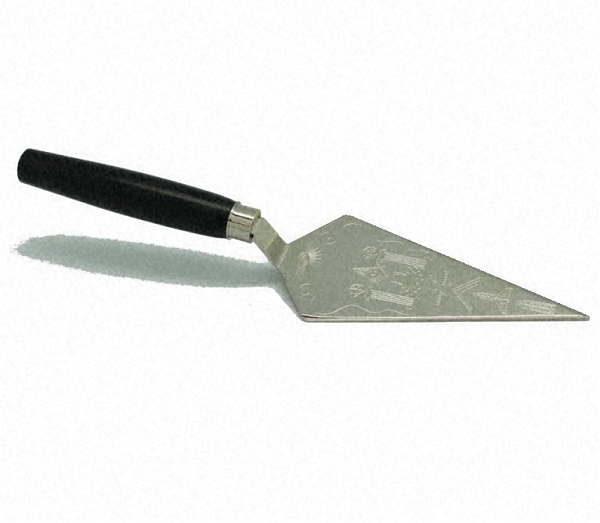 This is true in the case of this fine presentation trowel.